Getting to know the audience that you’re trying to reach with your blog can be very helpful when it comes to increasing traffic, getting people to return to your blog repeatedly and therefore making more money from it. There are certain things you can do in order to promote a better relationship with your visitors and get to know them better. If people have something to say or an opinion to share, they won’t always be very open about it. Giving your readers the chance to tell you what they think in the form of a short survey can invite some great feedback and will help you to give them more of what they’re looking for. 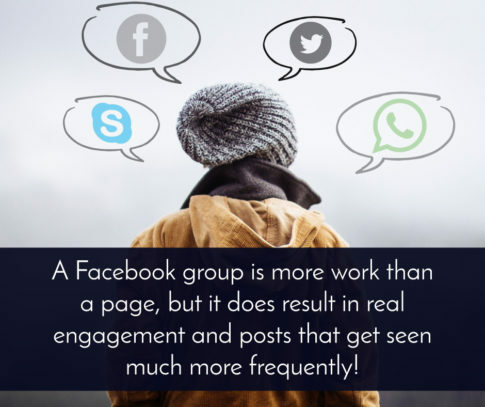 There are thousands of people using Facebook, Twitter, YouTube, Instagram and other social media websites, so if you’re trying to engage more with the people who are visiting your blog, there are few better ways than getting on social media. Not only can you search for your blog name on Twitter and find out who is talking about it, but you can set up review sections, message buttons and other features in order to get more people involved. Rather than having a comments section which invites your readers to leave comments when they want to, ask a question at the end of each post to prompt them to say something. Asking an open-ended question is a great way to get more comments. Depending on the type of blog you are running, you can get people involved by holding competitions. While fewer people will enter a competition than they will post a comment or share a post, it’s still a great way to build solid relationships with the key members of your audience. You can ask them to enter a competition by doing something and submitting it to you, or simply have a monthly draw where they can enter their email address and be in with the chance of winning. If people feel like they are reading something from a real live person, they will be more likely to get involved and contact you more. Don’t be afraid to write in the first person, put your name on the bottom of blog posts and also create yourself a profile letting people know your likes, dislikes and what you do for hobbies.